The Illinois Labor History Society is proud to support students as they work on their annual History Fair projects. We encourage students to visit our archives, contact us for interviews, and explore our website as they complete their projects. 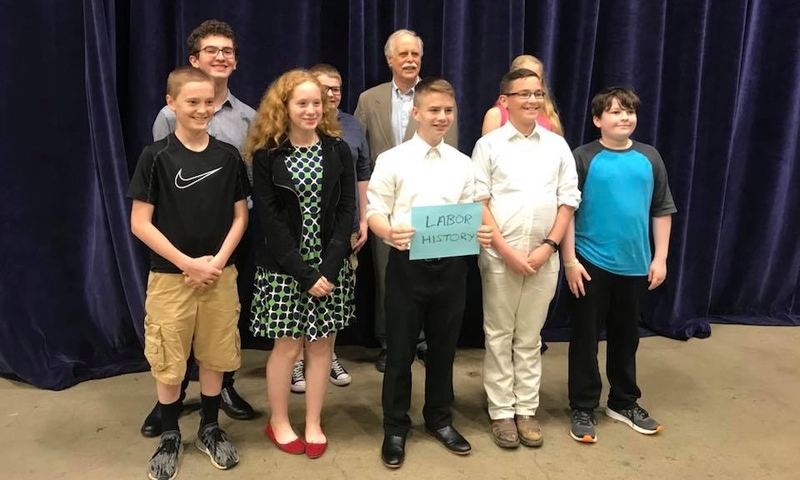 In support of student research, the Illinois Labor History Society offers small cash prizes at the History Fair State Expo as well also a prize at the Chicago Metro High School Finals. Students who look to Chicago and Illinois labor history for their projects will find many rich veins of topical material to explore. More than that, they may find themselves in a place where their research intersects with multiple broad themes of our national history. For example, a project that begins with the garment strike of 1910-1911, may quickly lead to the themes of women in the workforce, social class relationships, industrial organization and economic structure, immigration, or the problem of child labor. Or consider the possible extension of a project on the Memorial Day Massacre of 1937. The student might go beyond a description of the event in which ten men were shot to death by the police at a labor rally. That dramatic moment on Chicago’s East Side intersects with the nature of work in the steel mills, the formation of the Steel Workers Organizing Committee by the CIO; and, the election of President Roosevelt and the subsequent passage of the National Labor Relations Act. This one topic can open the door to explore the broad issue of the uses of power—political power, social and economic pressure, and the role of the Constitution as a limit on the abuse of power. These are just two examples of the exciting paths of discovery possible with a project on labor history. Students who choose projects that do not appear to involve labor history may nevertheless look for a labor history component. For example, projects on the I&M Canal, on Marshall Fields, or the Skyscrapers of Chicago could all address the experiences of the workforce involved. ILHS Co-founder Les Orear congratulates a student on his History Fair display. Good luck to the 2018 National History Day Qualifiers GOING TO College Park, Maryland from June 10-14, 2018! Vice President Mike Matejka with the ILHS winners.